Learn more about about our certifications that set us apart from other repair shops. You can be confident that your Subaru, Saab, Volvo, Mini, BMW, Audi, Volkswagen, Jaguar, Land Rover, Porsche or Mercedes is in the right hands! BBB (Better Business Bureau) Accreditation is awarded to auto repair businesses whose records demonstrate a high level of integrity, and we are one of them. We have consistently maintained an A+ rating since 1989. AAA is a program that certifies high-quality auto repair and maintenance shops. Businesses that hold high professional standards, employ trained technicians and hold customer satisfaction ratings 90% or more are awarded with this distinction. AAA monitors the businesses they approve with surprise audits and visits. We are a AAA-Approved auto repair business and was recently awarded their highest level of certification: AAA Top Shop in June 2016! EnviroStar rates businesses in their commitment and methods of putting environmentally sound practices into action, and Swedish Automotive, Inc. is one of only a few auto repair business in Seattle that EnviroStar has certified with a 5-star rating. We are committed to staying current in the ever-changing automotive industry. W are one of only five auto repair facilities in our area that maintain ASE (Automotive Service Excellence) Blue Seal Certification, demonstrating to ASE our auto technicians’ knowledge and mastery in all areas of auto repair and maintenance. Bosch Authorized Service Centers are the very best of independently-owned service centers. To qualify, we must pass a rigorous certification process which includes technical skill, customer service, facility appearance and commitment to using only high-quality parts. We are one of only 3 shops with this designation in the greater Seattle area. 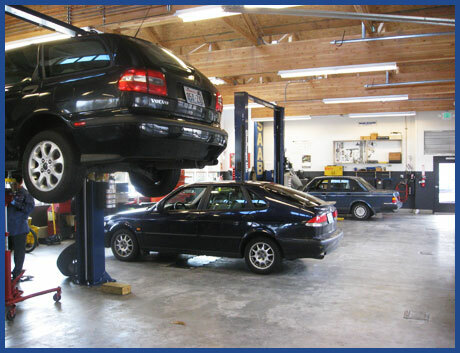 We are the only auto repair facility in all of Seattle that maintains all 5 Certifications!